If, like me, you work hard throughout the Summer, spare a thought for the bees out there. They have been known to travel to destinations more than 3km away in search of food (flowers!). That’s the equivalent of a person circumnavigating the globe ten times just to get to the shops – and then having to come back again – several times a day! And we must take care of them because we rely on them doing this to pollinate our food crops (as well as our flowers). That’s just one of the amazing facts I’ve been learning this summer in A Sting in the Tale by Dave Goulson. It’s a charming and fascinating story of how the author worked to re-introduce an extinct species of bumble bee back to the UK from New Zealand – peppered with the most incredible facts. 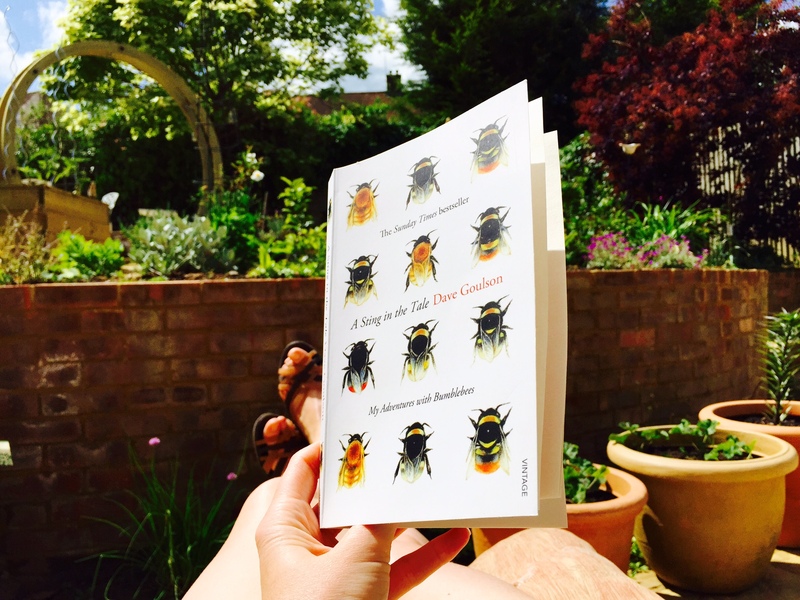 The book got me seriously intrigued by the bees in my garden. Inevitably I decided I just had to paint one. And I opted for a honey bee. 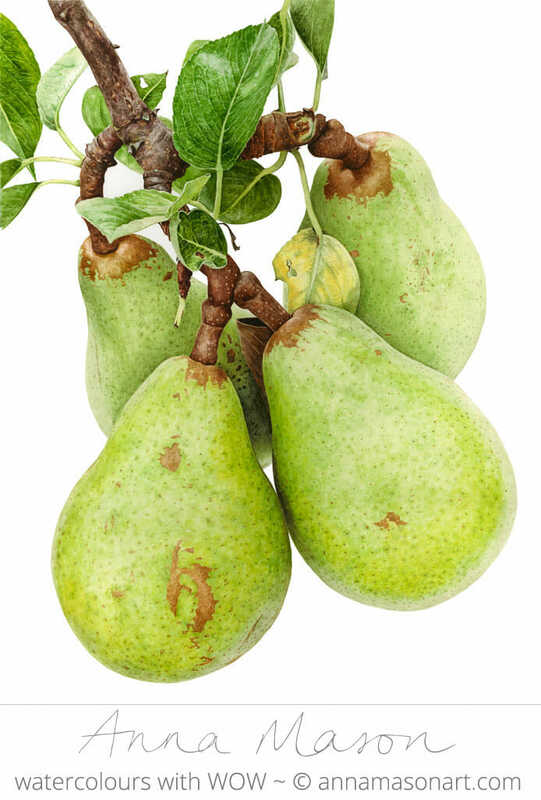 There are some challenges to achieving a realistic finish in watercolour. Crucially we need to achieve the very hairy texture of the bee – in both black and yellow – but without allowing the black and yellow colours to mix and get in a muddy mess! 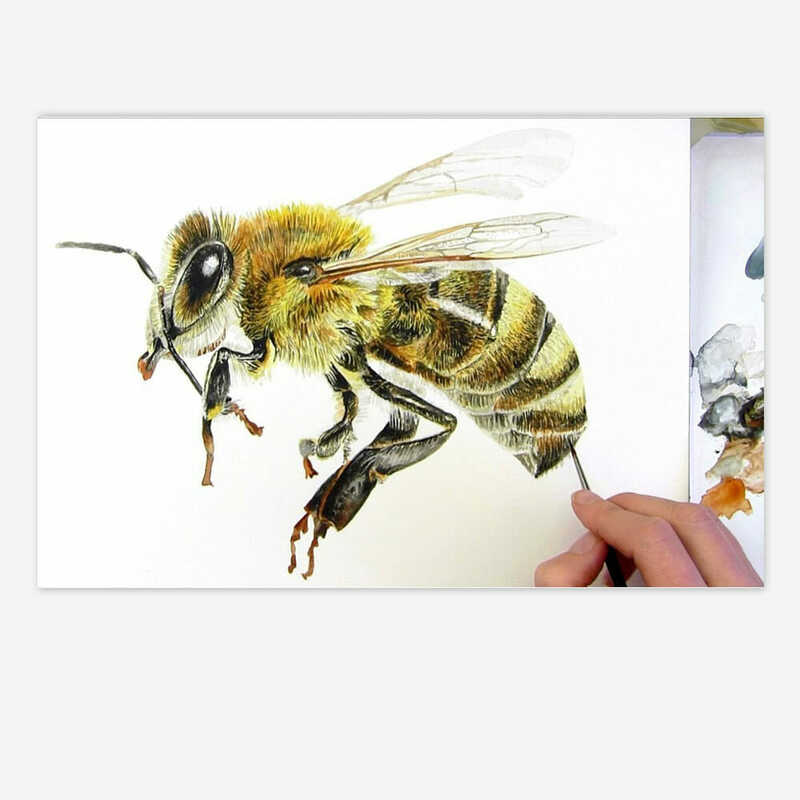 And if you’d like to see a full step-by-step tutorial of the bee – it’s available in my online School. Let me know about your own bee experiences – painting or otherwise, in the comments below, I’d love to hear them. I LOVE your work and I recommended your site to my IGCSE Art and Design students. Just a word to say that I don’t have time to paint that much as I teach all the time…but I loved the tips on layering in watercolour (wet over dry) I never really knew one could do that. 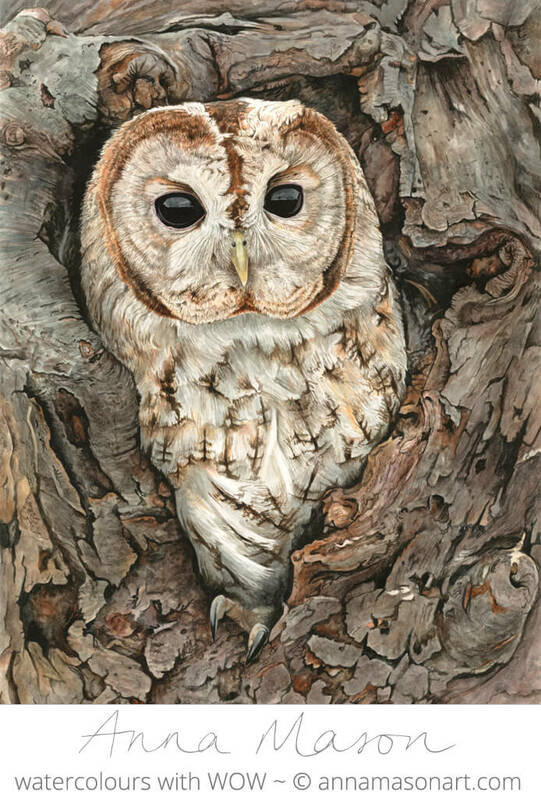 I spend most of my time drawing and acrylic painting but LOVE watercolours so it is aways a treat to receive your e.mails. Your work is beautiful, amazing and inspirational. I haven’t had time to search your website but have you done a tutorial on painting a ‘white gardenia’? I know you have done one (can’t remember exactly which flower) on how to paint a white flower. I got stung by a bee last week…..
Love your work. 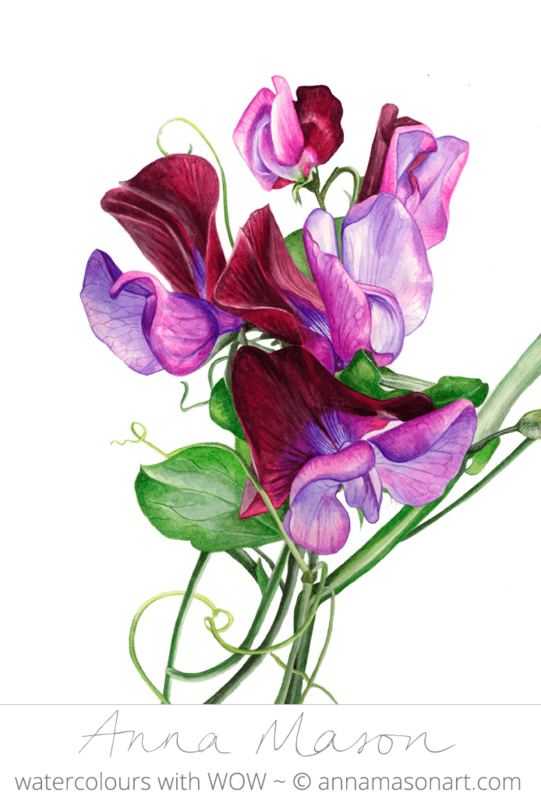 It’s nice to see how you can get all the details with watercolor! Oh my goodness! Your bee is amazing! I love your work!